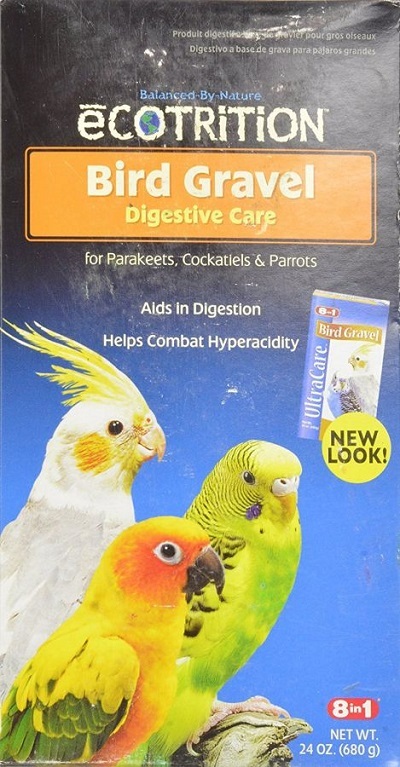 Gravel, specifically formulated for parakeets, cockatiels and parrots. Gravel is nature's substitute for teeth and is correctly sized for medium birds. Gravel is required by all seed eating birds to grind seeds and digest food. Sprinkle Gravel on bottom of cage or place in small treat cup within easy access of the bird Change gravel as often as required to keep a clean supply available at all times. During times of illness a bird may have a tendency to ingest excess amounts of gravel. If this is indicated reduce amount of gravel available.